Ivory Hospital was established in Greater Noida region of Uttar Pradesh in 2012 by Dr. Minu Agarwal.The hospital has established itself as one of the most renowned health care service provider located in Greater Noida. Dr. Minu Agarwal is a qualified medical doctor in the field of Obstetric and Gynaecology. 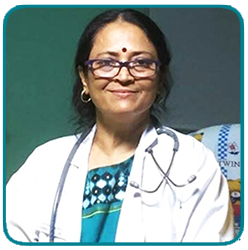 She did her medical education at S.N Medical college Agra, from where she did MBBS,DGO, MS in Obstetric and Gynaecology with distinction. She is one of the best Gynaecologist in this region. The moto behind opening this hospital was to provide best health care at affordable cost to all classes of society. She is having experience of 30 years in this field. The outcome of normal deliveries, difficult deliveries and operation including ceaserian and hysterectomy handled by her are excellent at par with western country.